Swordfish is a large fish with meaty flesh that you can purchase as steaks, filets or loins, fresh or frozen. The Monterey Bay Aquarium Seafood Watch program recommends purchasing swordfish that has been caught with a handline or harpoon, since those fishing techniques are more environmentally friendly than nets or longlines. Grilling or smoking swordfish gives the meat a delicious, smoky flavor. 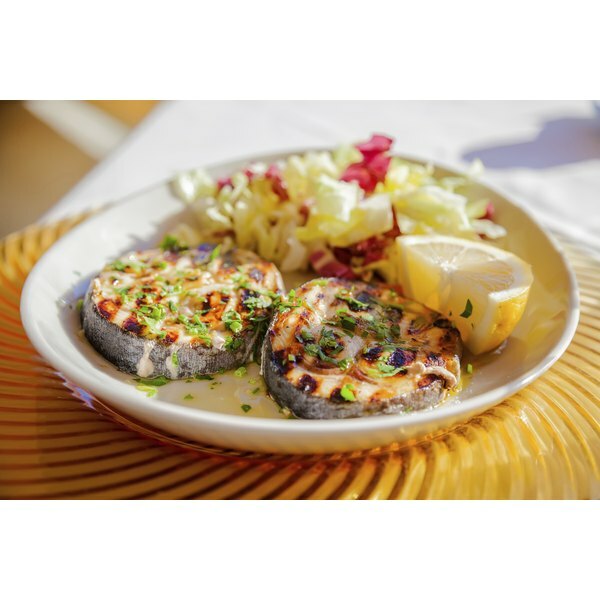 You can serve grilled or smoked swordfish as an impressive main course, paired with a sauce or salsa garnish. Preheat a charcoal or gas grill to medium-high heat. Perform the hand test to make sure your grill is properly heated. You should be able to hold your hand over the grill grates for just four to five seconds when the temperature is right. Check that the internal temperature of your covered grill reaches 400 degrees Fahrenheit. Remove the swordfish from the refrigerator and rinse it under cool water. Pat the fish dry with paper towels. Lay the fish on a plate and use a pastry brush to paint the fish with olive oil or your preferred marinade. Sprinkle the fish with salt and pepper to taste. Place the fish on the hot grill, close the lid and cook for three to four minutes. Open the grill and use a spatula to carefully turn the fish over. Close the grill and cook for another three to four minutes. Remove the swordfish from the grill when it is cooked through and the meat is opaque and flaky. Place the swordfish on a serving plate and serve with lemon wedges, salsa or vinaigrette. Soak hardwood chunks in water for at least 15 minutes. Light the chunks in your smoker and set the lid in place. Heat your smoker until the temperature reaches between 170 and 250 degrees Fahrenheit. Rinse the swordfish and pat dry with paper towels. Place the fish on the smoker's grates and close the lid. Smoke the fish for between one hour and one hour and 15 minutes. Check the fish for doneness. Remove the fish from the grill when the meat inside is opaque and flaky. Use a meat thermometer to check the temperature of the swordfish so you can be sure it's completely cooked. 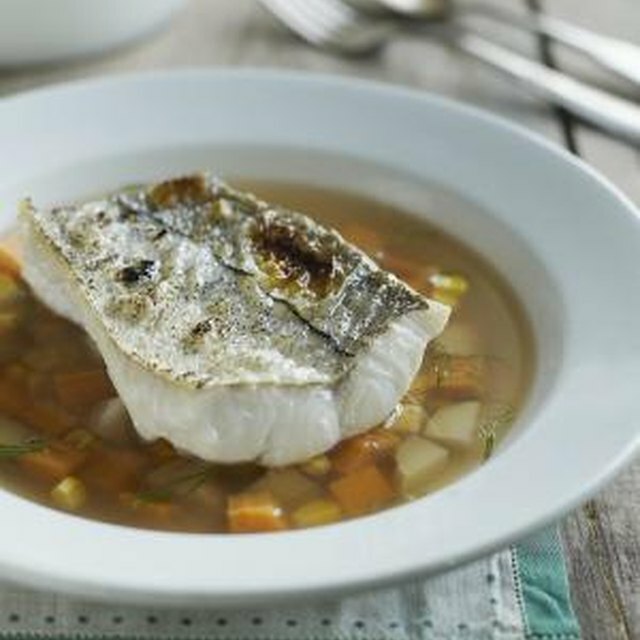 The internal temperature will reach 145 F when the fish is fully cooked. Swordfish is a big predatory fish, which makes its meat high in mercury. The Environmental Defense fund recommends that women and children under 12 years old avoid eating swordfish entirely, while men should eat swordfish once a month at the most.